MMMmmm, luscious cover and when you open it – what an assortment! So many melt-in-your mouth fabulous poems and short stories to choose from. 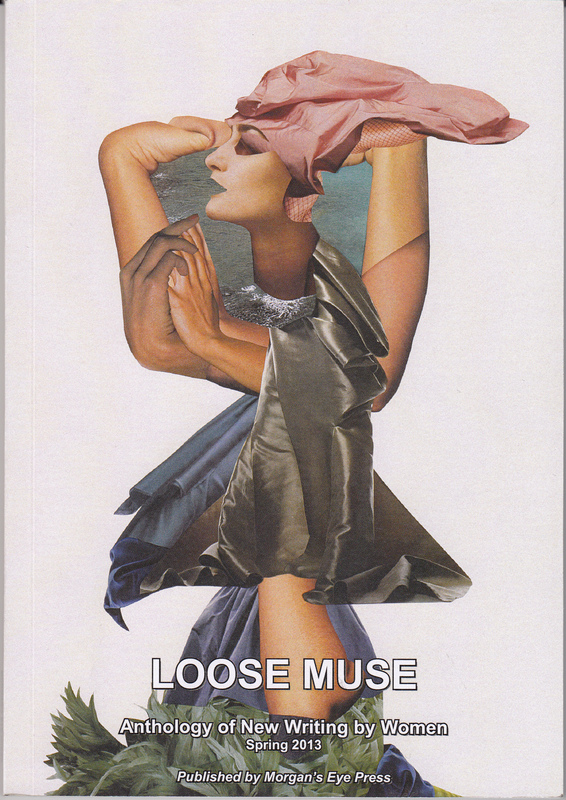 It’s Loose Muse’s fifth anthology – triple-launched in London, Manchester and Cornwall and celebrating the creative talents of 50 women British and international writers aged between 20 and 91! Some of my favourites? Balaba Aseka’s ‘The Boda Boda Rider’; Anne Macaulay’s terrifying ‘The Dive’; Sue John’s powerfully damning ‘Instructions for a Summer Wedding’; Nancy Charley’s touching ‘Finding Gold’; the street-wise ‘Dyke Spotting’ by Emma Wootton; the witty ‘Apple’ by SaraMae Tuson; plus some great stories by Hilaire, Isabel White, Fiona Read and Joolz Sparkes. 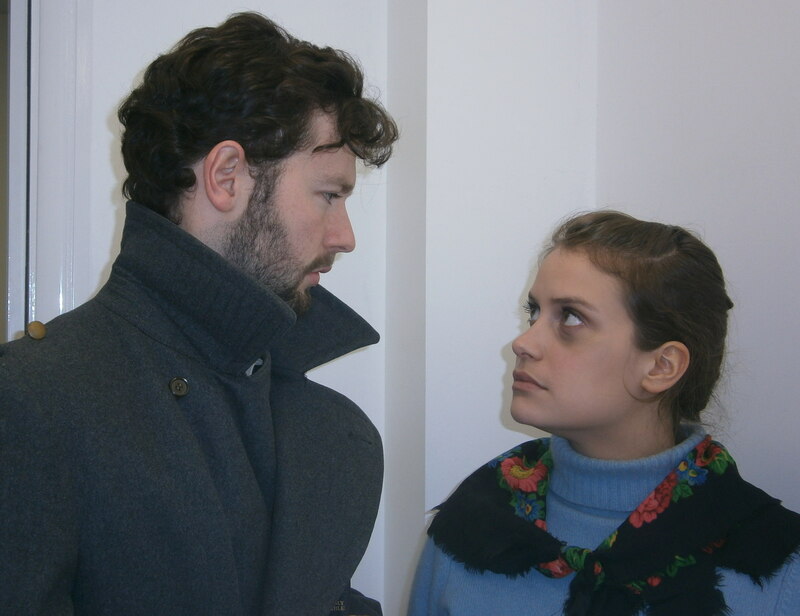 I’m lucky enough to have had three of my own poems included, together with my short play ‘Enemy’ (set on the Russian Front in 1943) which was performed at The Lost Theatre Company’s 5 Minute Play Festival last December. 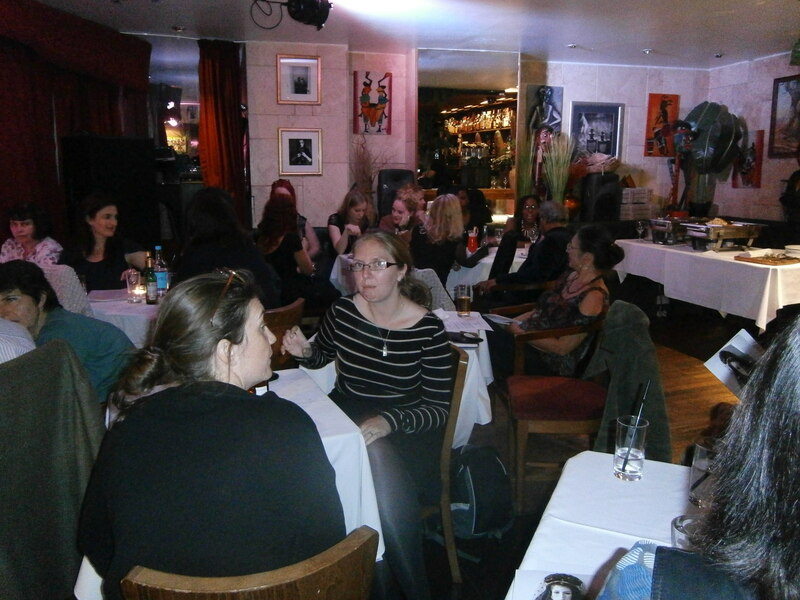 Loose Muse is London’s only regular women’s writers night which has been running continuously since 2005 at The Poetry Cafe, Covent Garden, London. It meets at 8pm on the second Wednesday of each month (except August). 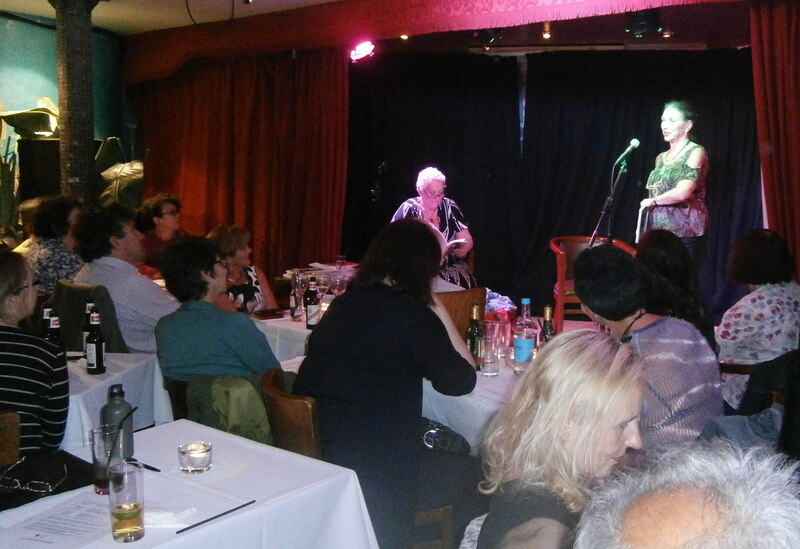 It offers a friendly and fun atmosphere for women to perform open mic. Men are always welcome to make up the audience! 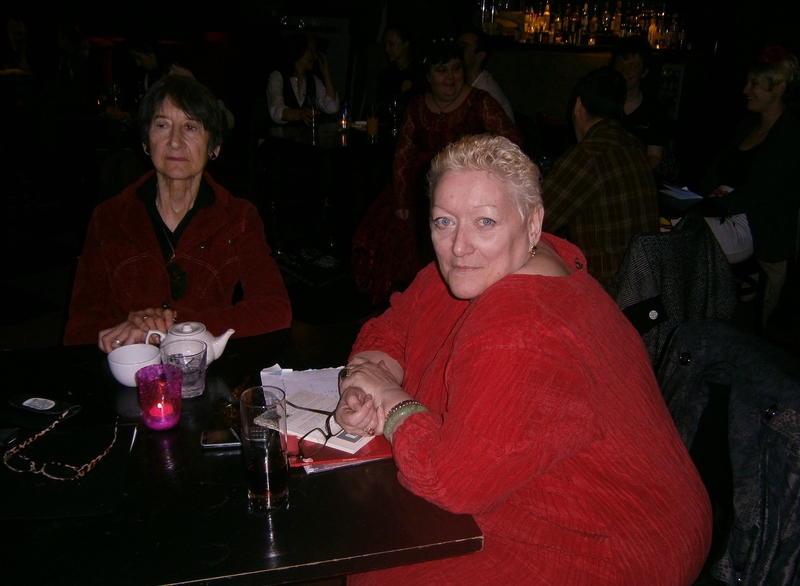 To buy copies of the latest anthology (or back-copies of the previous four) go to: www.loose-muse.com or contact Agnes Meadows at agnespoet@gmail.com The anthologies are also available to read in the reference section of The Saison Poetry Library in the Royal Festival Hall, South Bank, London. The anthology’s front cover artwork is ‘Dismantled’ by Lorraine Clarke, who has also designed all the previous Loose Muse covers. Tube travel. You know the score. No chat. No eye-contact. There I am, nose deep in my hot-off-the-press Loose Muse anthology, when a handsome young Spaniard leans over, points to a word in Steph Pike’s poem ‘Sea Shanty’ and asks “What does ‘shore’ mean?” Cue an interesting discussion on semantics before the interchange at Oxford Circus parts us forever. The moral of the story? 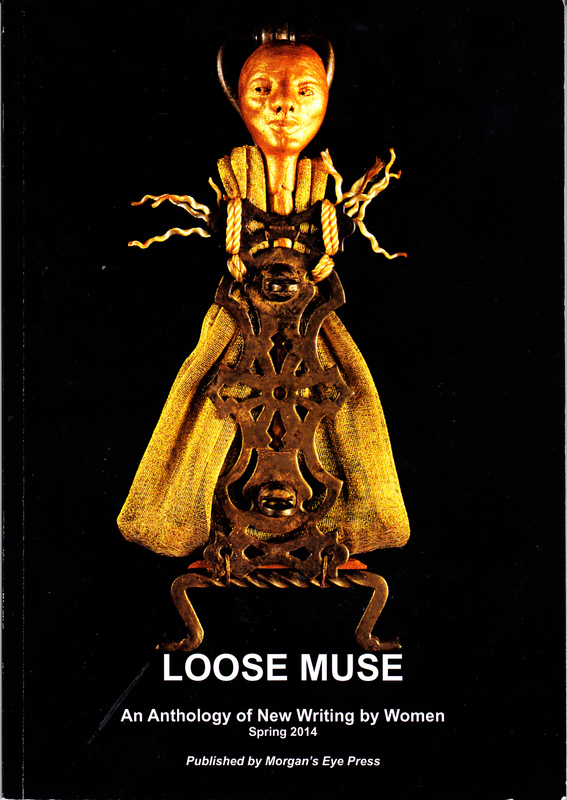 A Loose Muse anthology can seriously pep up your love life! The latest (and fourth) issue is packed with poems by the likes of Cath Drake, Zena Edwards, Rosie Garland, Sue Johns and Agnes Meadows, plus short-stories by Niki Aguirre, Isabel White and Leila Segal among others, as well as a 5 minute surreal comedy by Claire Booker which explores the tribulations of youth unemployment and irritating parents. “This anthology is a fabulous cornucopia of original work by women writers,” says editor Agnes Meadows, who launched London’s only continuous Women’s Writers Night nine years ago. 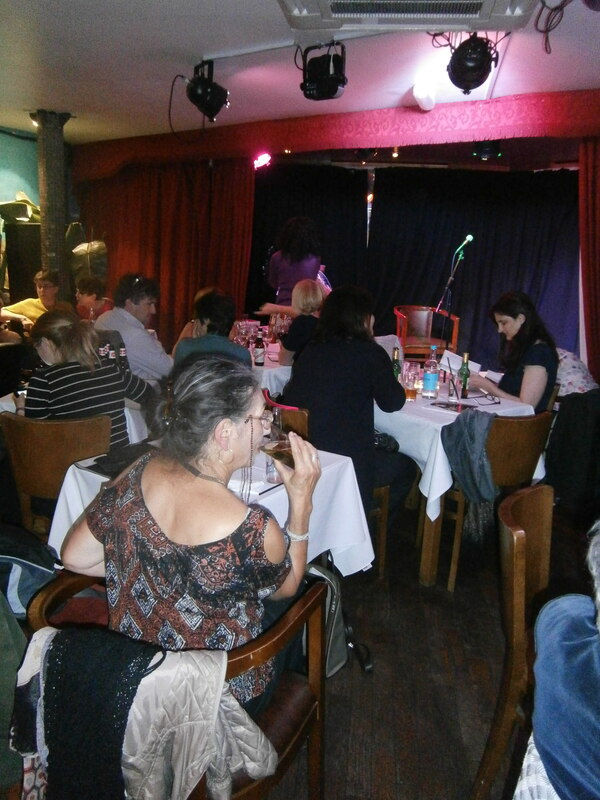 Loose Muse offers a smorgesbrod of UK and international guests plus generous open-mic slots every third Wednesday of the month at the Poetry Cafe, Covent Garden. The cover image is by Lorraine Clark. A Tale of Two Cities – Loose Muse hits London and Manchester! 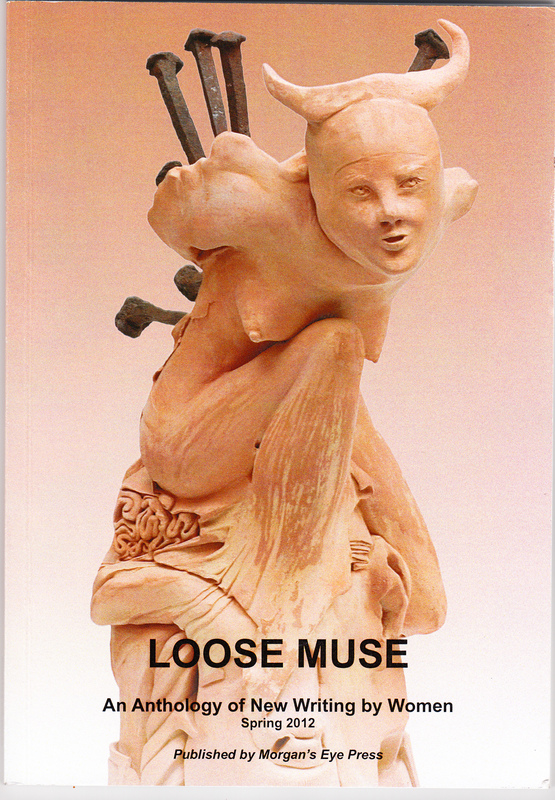 Loose Muse has just launched its third anthology of new writing by women, including work by Ivy Alvarez, Claire Booker, Miriam Halahmy, Sue Johns, Sarah Reilly and Janice Windle. 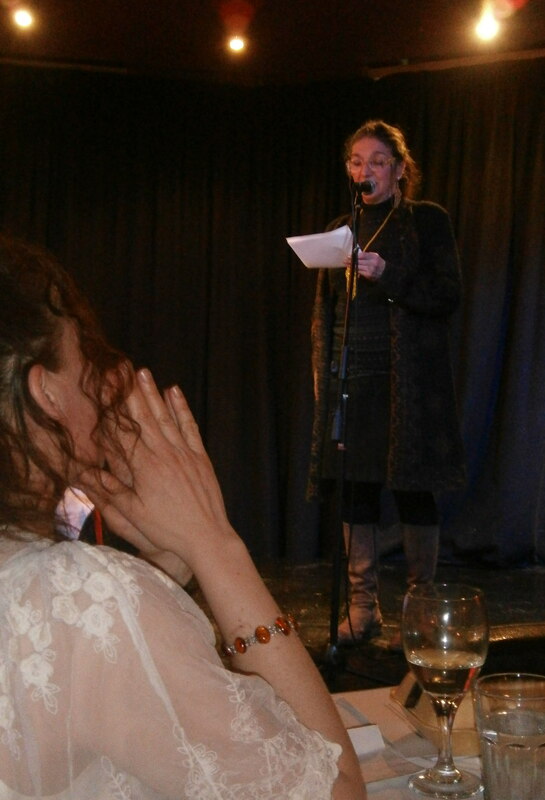 And only days after a lively launch party at Cotton’s in Clerkenwell, the All Woman Writers’ Night spread its wings and flew north to Manchester for the first of (hopefully) many Loose Muse events organised in that city by local poet and activist Steph Pike. 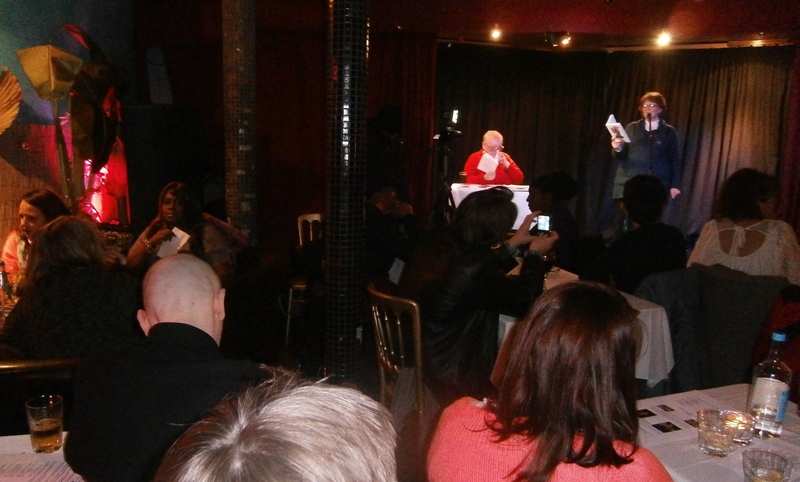 Guest performers invited to Manchester included Agnes Meadows and Claire Booker. Thanks to the sheer get-up-and-go savvy of Agnes and her editorial team, the Loose Muse anthology is packed with an eclectic mix of contributions from writers across the UK as well as Greece, Spain, Holland, Finland and Australia. 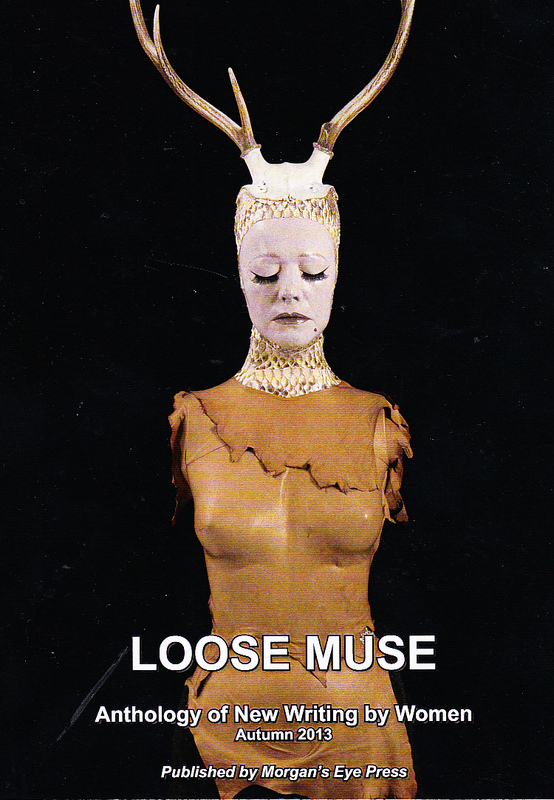 Thanks to the verve and sheer gung-ho brilliance of Loose Muse founder Agnes Meadows (plus some very handy Arts Council funding) – another Loose Muse anthology came wriggling and squealing into the world last week. 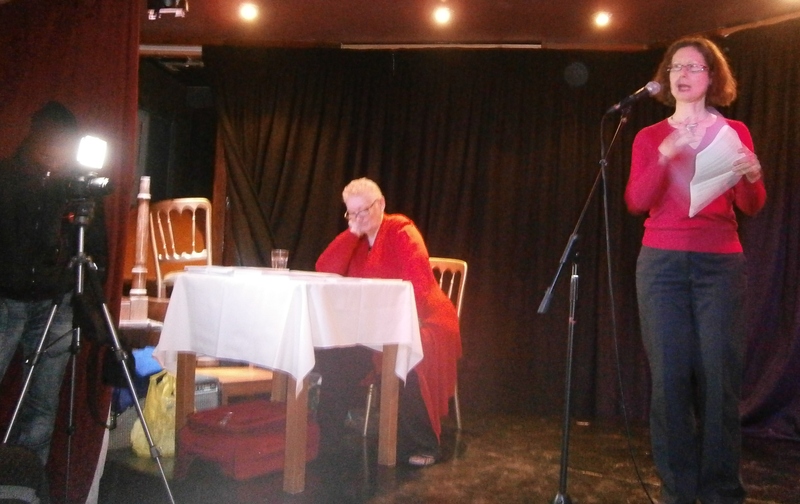 And after a stiff drink and a deep breath, Claire Booker took to the stage at Cotton’s, Clerkenwell, to give a no-holds barred reading of her short play ‘Sperm Vampire’ at the launch party. 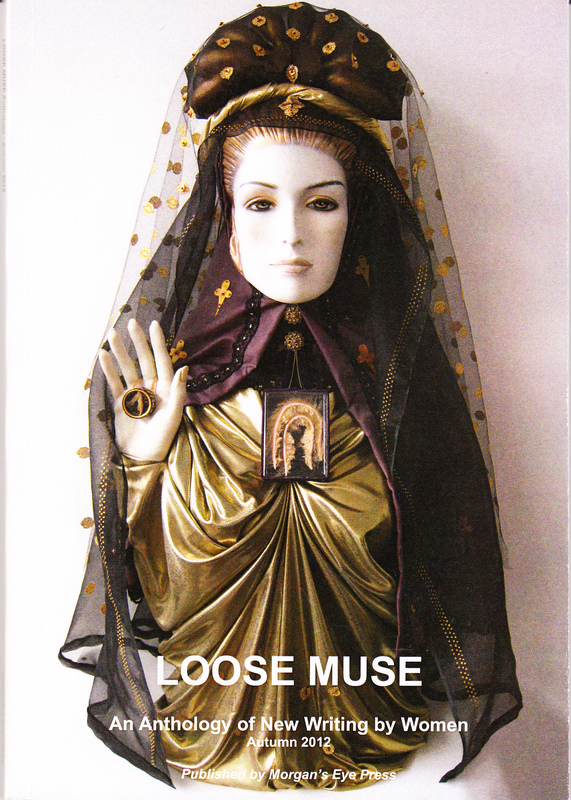 The latest edition of Loose Muse features poetry, prose and drama from 35 women writers living as far afield as Greece, Australia, Spain and the USA. 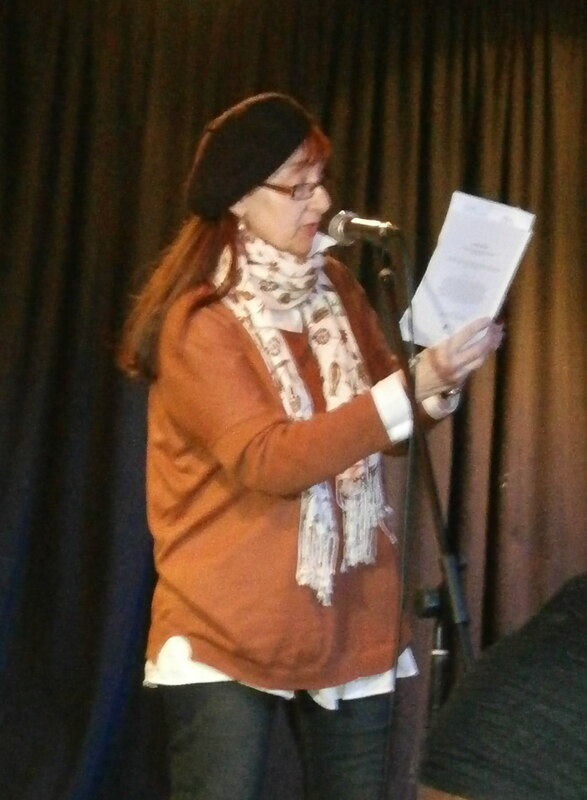 Highlights include poetry by Sue Johns, Cath Drake and Poets Scratching Heads’ member, Natasha Morgan, plus stories by Isabel White and Naomi Woddis. A second play by Claire (Rainbow Baby) is also included.